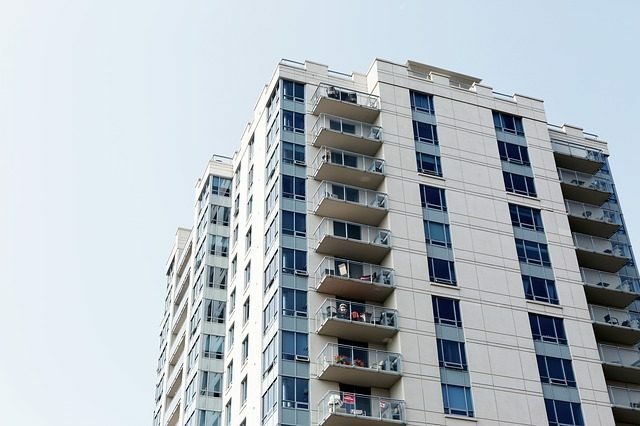 Condo vs. House: What Investors Need to Consider | Toronto Property Management Company - Mareka Properties (2000) Ltd.
As a property manager you are always looking for new investment opportunities. In the GTA, buying a property; be it a house or a condo, is just one of the many assets to consider. Condominiums have rapidly become a booming investment in the Canadian economy due to their profit margins. A condo is flexible, and in the right economic climate, can draw substantial profit. Here at Mareka Properties Ltd., we are your confident condo property management company in Etobicoke that you can trust. We understand that owning a condo requires great experience and responsibility, which is why we are here to help you with your property management duties. Condos have recently become a growing trend- in the past they were more popular among couples without children, but that is no longer the case. They are now becoming more well liked by families because of the many benefiting factors that will be outlined throughout this article. Condominiums are a profitable investment that can be mortgaged for the same price of a rental. However, before putting your foot in the door, it is important to understand what components to consider before investing in a condominium. Living in a high-rise can give you some breathtaking views of your city; waking up every morning looking at what’s going on down below and around you is a wonderful feeling. Condominiums are great in ways that will make your life easier because they are low-maintenance. Coming home after a long day of work, the last thing you want to do is mow the lawn or shovel the snow. A perk with condo living is that maintenance is taken care of as part of the dues you pay. You are also able to enjoy the extra amenities. Condo residents often have ample features they could use at their own convenience just outside their doors such as; pools, party rooms and workout facilities without the extra costs. Condos also usually have the added benefit of security measures that are provided for residents to make them feel more safe. Of course, then the social aspect comes into play. Many condo residents love having the opportunity of having regular, unplanned social interactions with their neighbors. Living in a condominium development creates a form of a close-knit community between the residents. When investing in the rapidly growing Toronto condo market, you never want to pay more than you should or can afford. The nature of the market is always changing, this also depends on the location of the condo development. Some areas differ in pricing from elsewhere in Ontario. When investing in a condo, you need to always take everything into consideration. Think about public access to amenities, transit, walkability, and future plans that are going to give new economic value to the area and draw more interest to the neighbourhood. The market value is important because that is usually the root of where your price point derives from. Always compare resale condominiums and pre-construction condominiums (could be in similar location). Look into the prices of resale condos to give you a better idea of what buyers are willing to pay to live in an existing neighbourhood. Moreover, you can always contact your property management team of experts to get a Toronto condo realtors perspective and professional advice. You can refine your search for condominiums by looking at further questions you may ask. Certain condo complexes have age restrictions. Generally, condos with age-restrictions will cater to an older population (i.e. retirement communities, active adult communities, etc.). Thus, it is relevant to find out if there are any age requirements. Parking is also another consideration when looking into units, most developments have on-site areas for parking like parking garages or a section next to the building. Each unit is usually assigned a certain number of parking passes, often based on the number of bedrooms in the condo. Your tenants might be concerned with whether it is safe to live there or not. Many condos have high security measures which could include; 24-hour security guards and video surveillance, locked exterior doors, locked access to community facilities, well-lit parking areas and hallways and community watch programs. It is important to find out if they do provide some security. On the other hand, many new developers will offer upgraded appliances (i.e. stainless steel ranges, refrigerators, microwaves, etc.). And as previously mentioned, you could also look into the features the condo comes with such as; pools, gym, etc. Condo living may not be ideal for everyone, but it is a reasonable option with fewer headaches. As the condominium market has gotten increasingly competitive, we are aware that finding the suitable investment can be challenging. At Mareka Properties Ltd., we are dedicated in assisting you in all your property management needs and inquiries. Our most central area of interest since our company’s inception are condominiums. We will guide you through the financials, administration, communication process and more. Our services will leave you worry-free, you can trust our team of professionals in guiding you towards a smooth experience. Contact us today for more information!